Access your profile by clicking on your picture, name, or clicking on "My Profile" in the drop down menu of "Options" under your profile name. 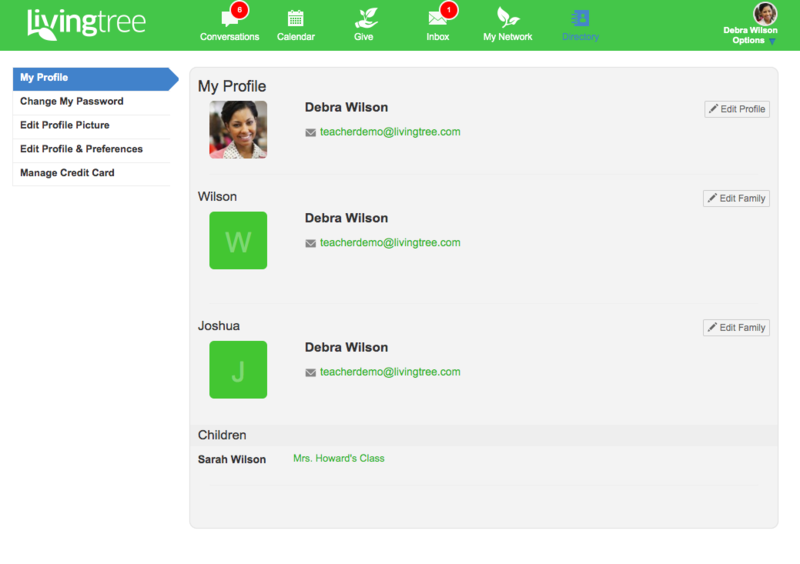 Within the 'My Profile' area, you can edit your contact information, choose to opt into your Livingtree 'Directory,' change your password or email address, edit your profile picture, set a language preference, and configure your notification settings. Simply enter your old password, enter and confirm a new one, and select ‘Change Password.' 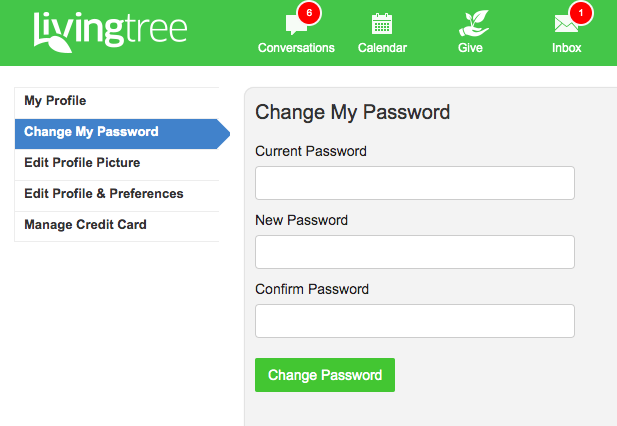 After saving your changes, you'll need to log into your account again with your new password. 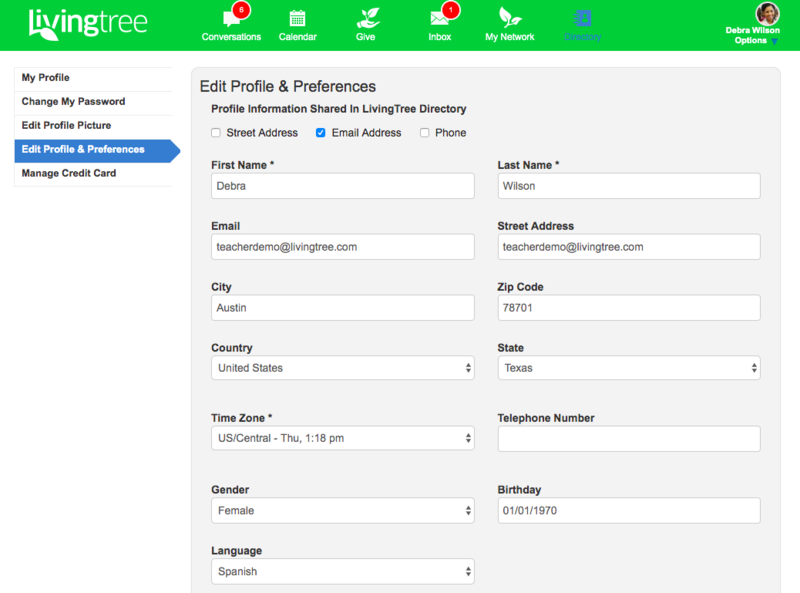 In this section, you can edit your contact information, (check the tick marks to share contact information with Livingtree contacts through 'Directory'), change your email address, select your language preference, and edit your notification settings. 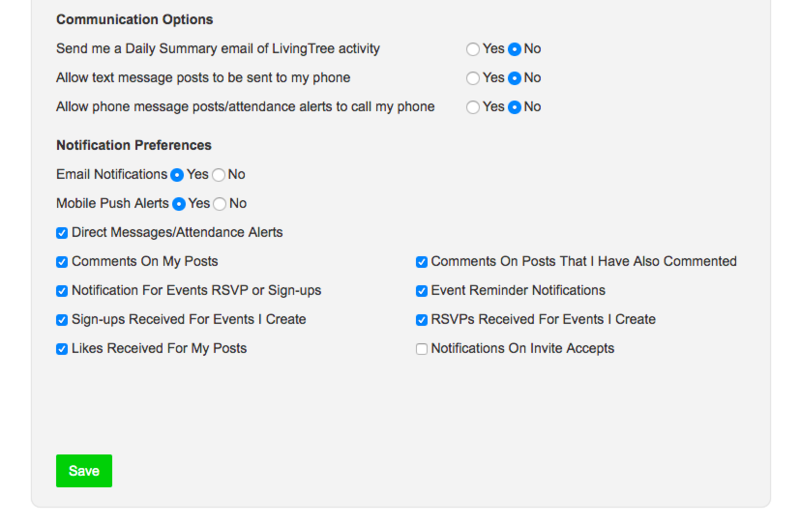 Notifications come in the form of an email or a push notification on your mobile device if you have the Livingtree app installed. Click the box next to each option to enable or disable.